Reanna and Elliot had a charming, unique, and beautiful green wedding in Santa Barbara, California at Godric Grove inside of Elings Park (where I played soccer while attending Brooks Institute of Photography). In addition to their vintage and recycled wedding rings, and biodegradable utensils, Reanna and Elliot bought carbon credits to offset their guests’ travel. 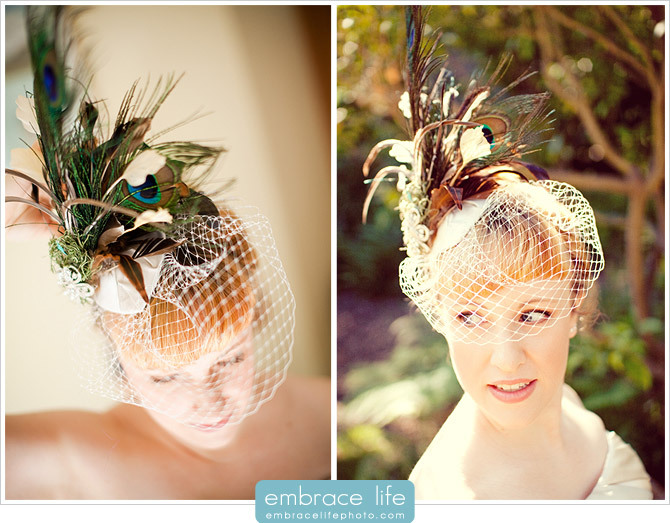 There were so many great, personal touches, like the amazing peacock feathered birdcage veil and boutonniere that Reanna made! 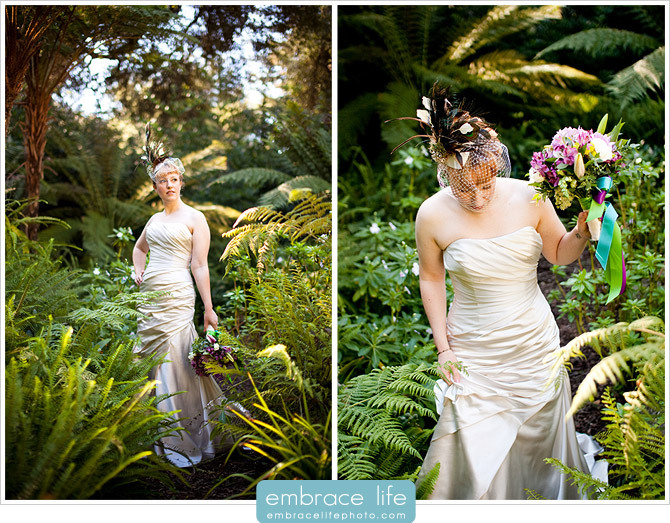 Her beautiful bouquet and shoes really brought it all together. 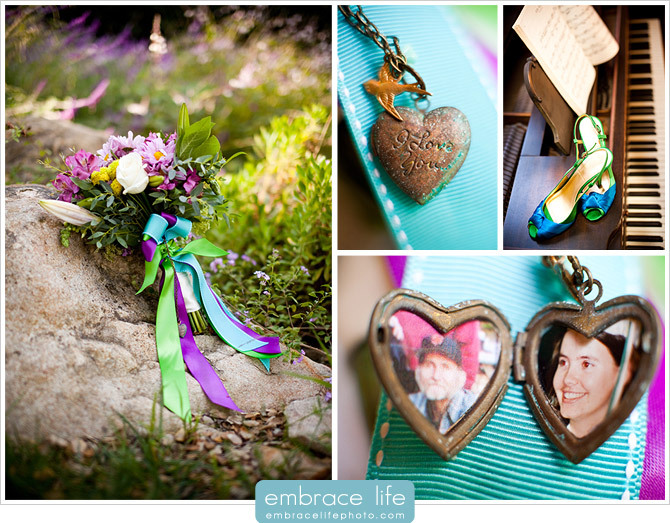 Reanna’s bouquet featured a rustic bird and heart locket with pictures in memory of her father and dear friend. It was such a sweet, personal touch. 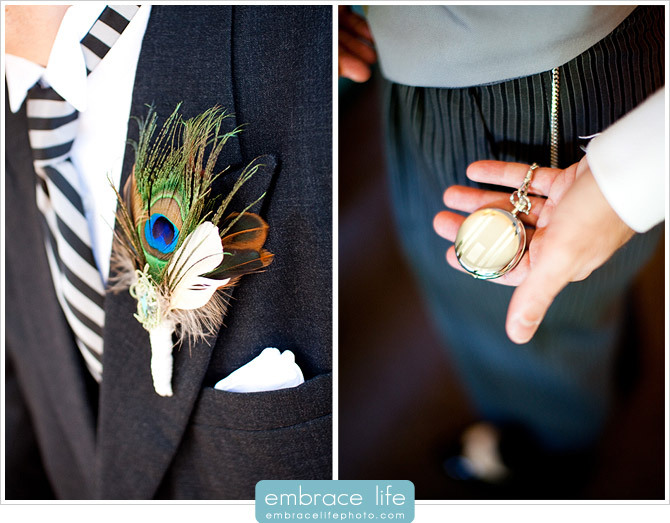 Elliot sported his own throwback styles from pocket watch to killer wingtip shoes and long jacket. 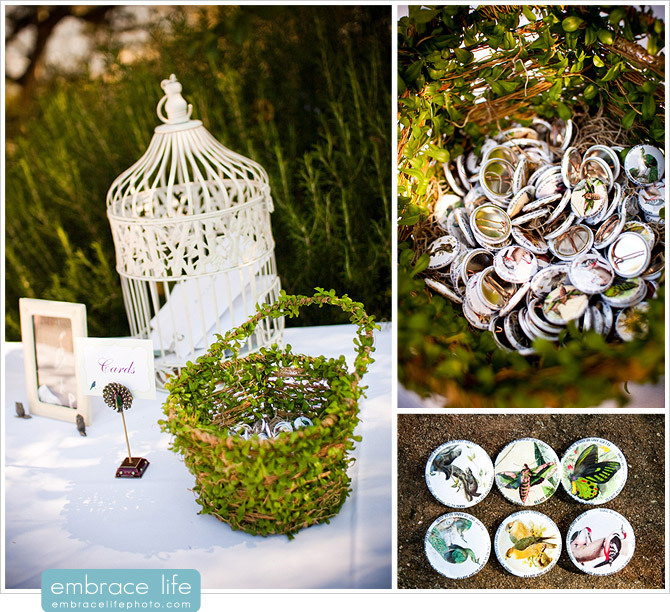 Eling’s Park was a perfect venue for this natural, bird-themed, green wedding. 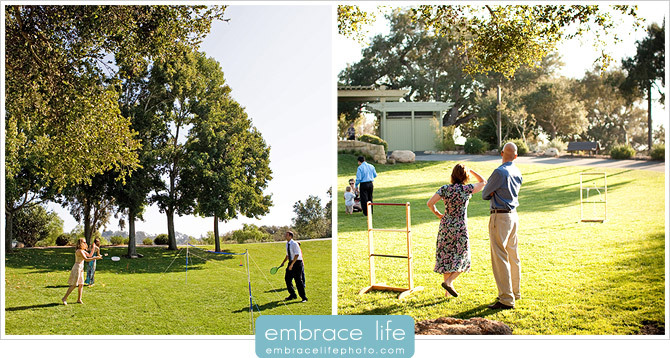 Wedding guests were able to relax and play lawn games, like badminton and ladder ball, while soaking in the perfect Santa Barbara weather. 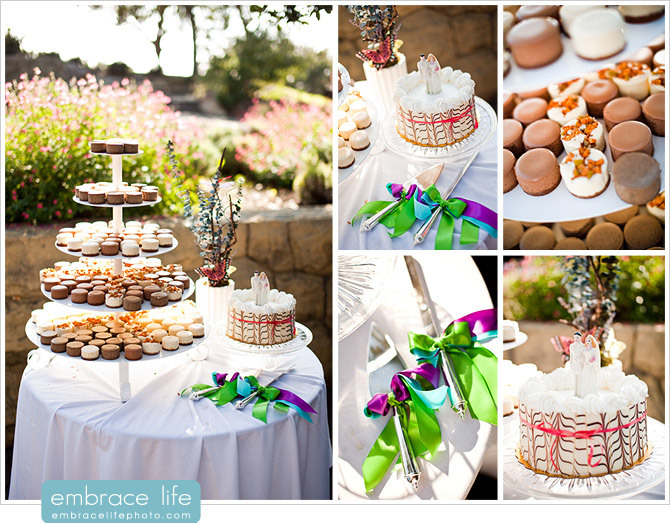 The mini cheese cakes (by Cheesepies) were to die for! The wedding cake (by Anna’s Bakery) featured a 1940s cake-topper from Reanna’s grandparents’ wedding. How cool is that?! Reanna and Elliot created a wedding true to their spirit and it was such a blessing to be a part of it. They ended their perfect day watching the sunset over the Pacific Ocean at Arroyo Burro (Hendry’s) Beach. Love the images… very nice. Thanks for sharing!!! Seriously what a great wedding. Stunning photographs. Really love it. Fantastic job by photographer. 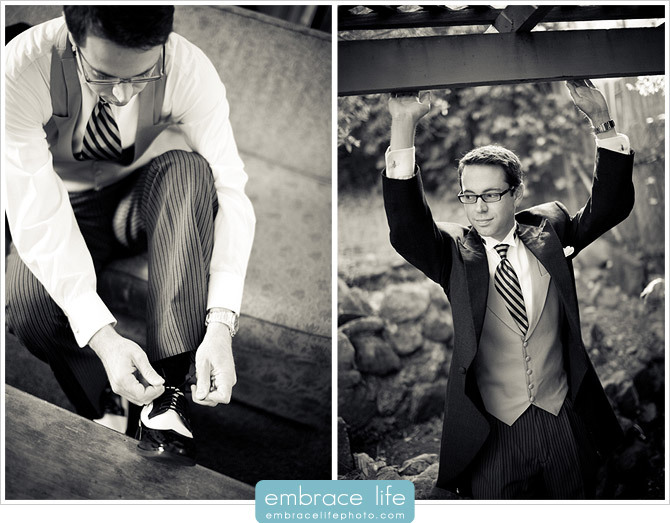 Really looking awesome and enjoyable wedding shoot. Fantastic images love them. I really like the tottoo on bride foot. 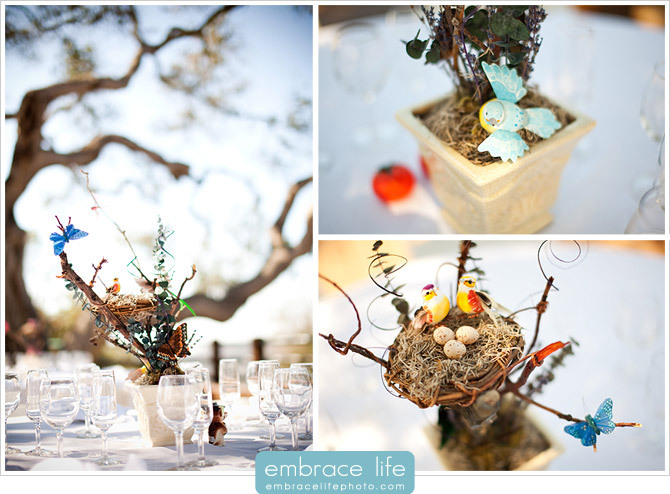 This looks like it was a fabulous wedding in Santa Barbara! 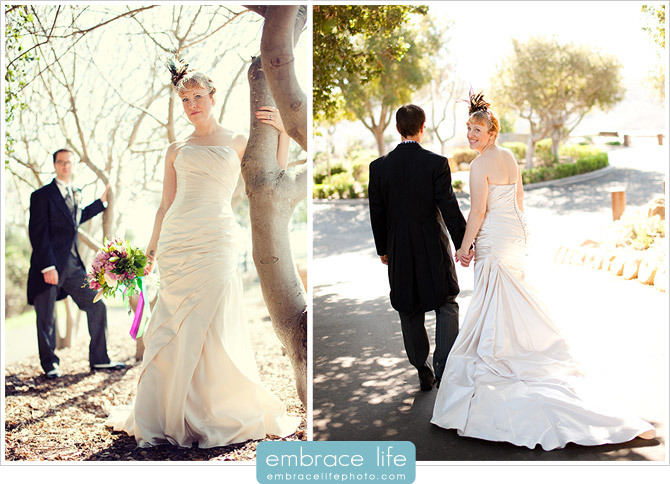 I love that city, it is perfect for great weddings just like this one! I was just in town and I couldn’t help but notice all of the weddings going on all around me! How exciting! I love your wedding theme! The peacock your husband wore is just exceptional and I love your shoes! 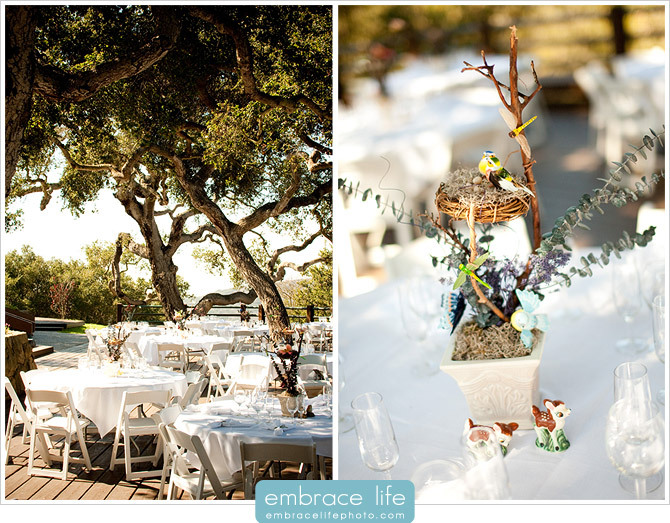 Weddings in Santa Barbara are always so nice. I was just at my dear friends wedding in the area and she had a barn wedding! I loved it, the reception as well as the ceremony were held there and it was so nice. They did a great job planning everything as you did! 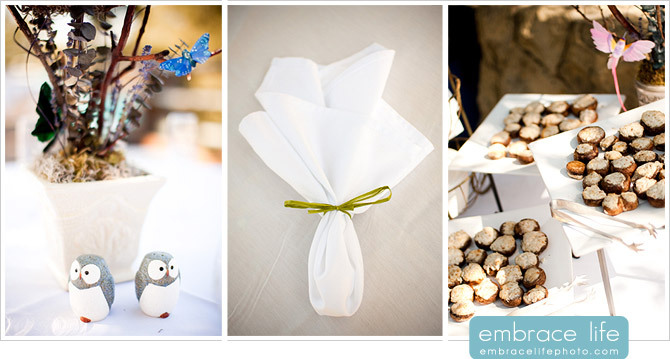 Love wedding blogs since they give future brides so much inspiration for their own wedding. 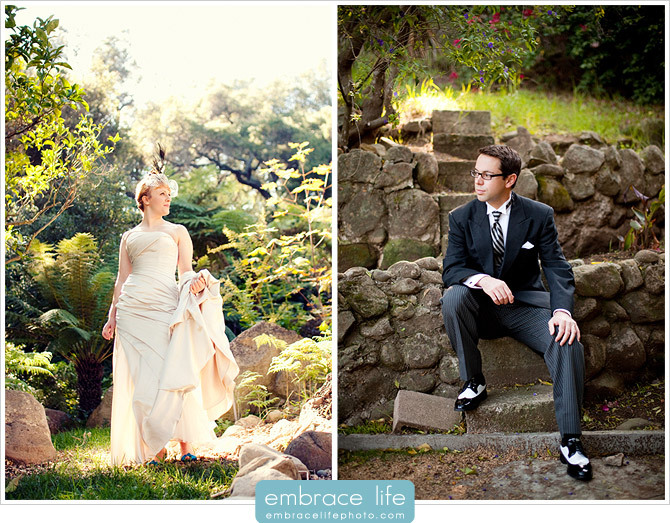 I’ve mulling over my own upcoming wedding in Santa Barbara for some time now and this website has been so much help! I cannot wait to get down to the fun stuff and plan away. 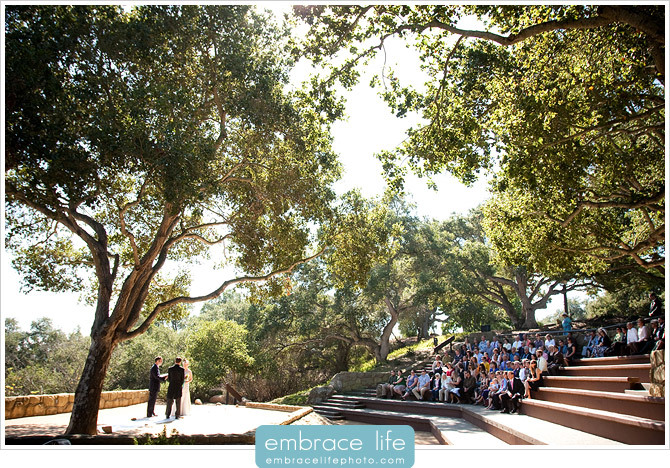 Santa Barbara was the perfect location for our wedding since we both have so much there-friends, family, etc. 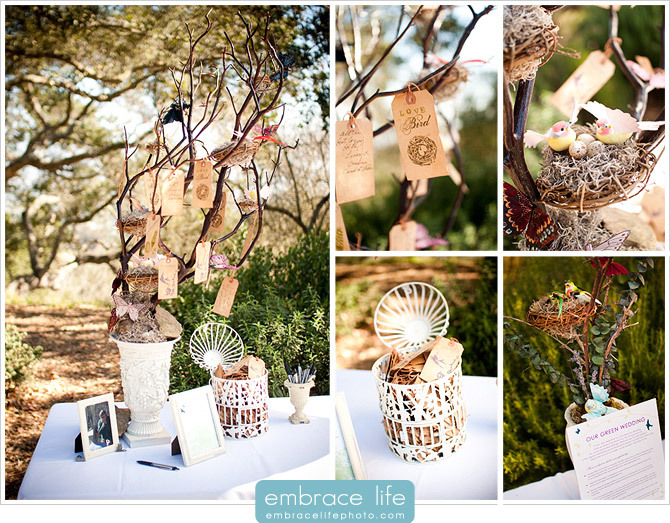 I Love the delicateness of this wedding! They are so fem!!! Yes very amazing pictures and it needs experience, skills and correct techniques to be a photographer who people can look up to for their wedding day.